I have always been a big fan of baseball. Outside of music, it is my next passion. I played as kid all the time growing up in Los Angeles. Off in the morning during the summers, and back at night from playing at the local parks. 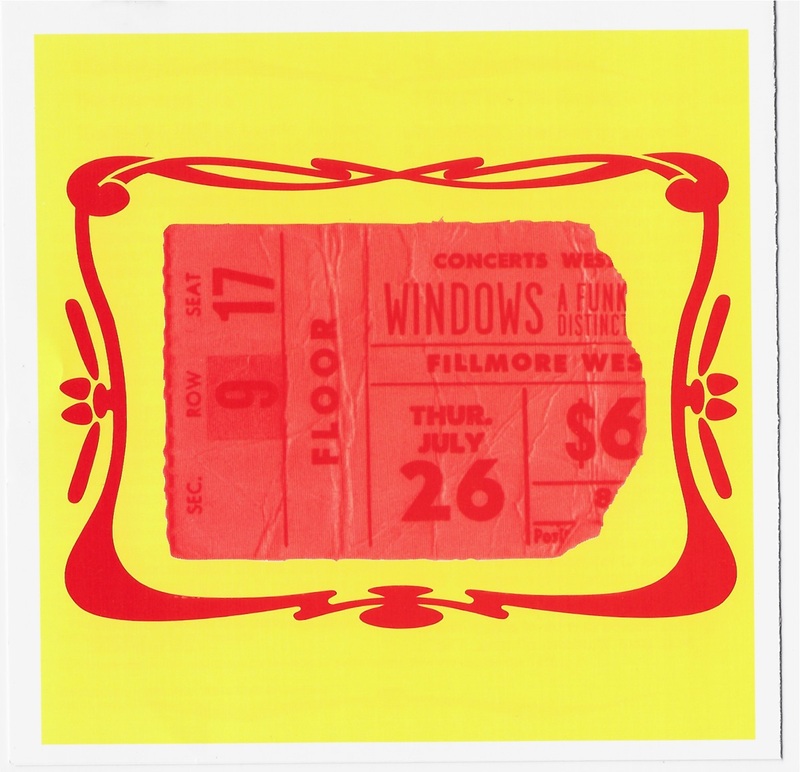 At the time of Colour Club’s “In The Flow” album, I still had one more record obligation for Windows to complete. I asked Les Pierce if he was interested in writing and recording this last Windows album with me. The album initially was to be called “Shadow Ball,” based on the pantomime actions players would perform before the ballgame. The baseball idea for the album was all well and good, except than label did not think so. Their thoughts on this was that sports and music should be separated, and nobody would be interested in the concept. After days of haggling, I relented, figuring we would somehow come up with a title for the album they would accept. Songs were written and selected, including a rearranged cover of “Take Me Out to the Ballgame.” “Mr. Lucky” was based on Lou Gehrig, and included his famous line, “I’m the luckiest man in the world” broadcast from Yankee Stadium. 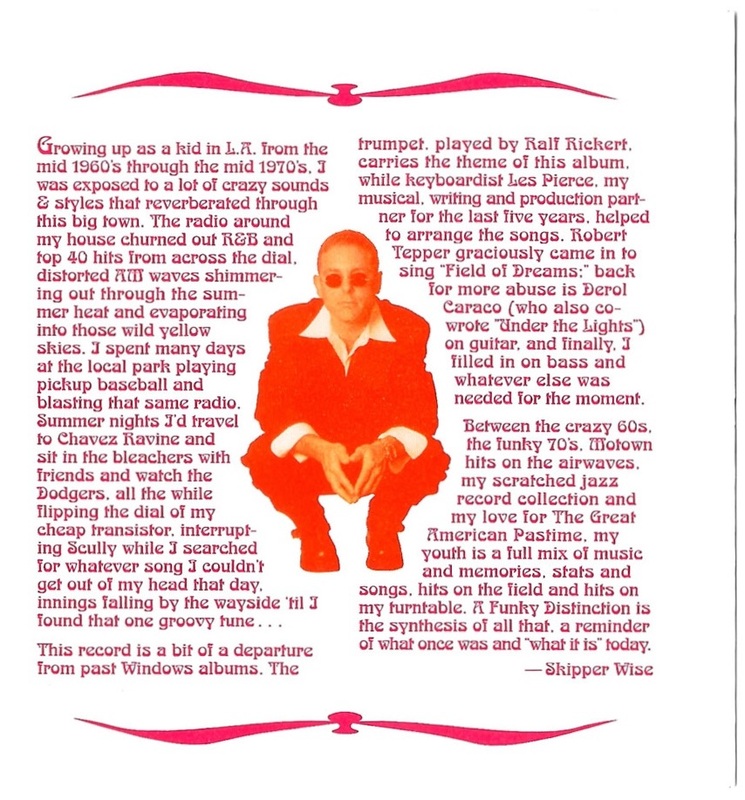 Robert Tepper was bought in to sing ‘Field of Dreams.” Last but not least, Ralph Rickert did something that had never been done before on a Windows record; he played all the lead lines on trumpet. 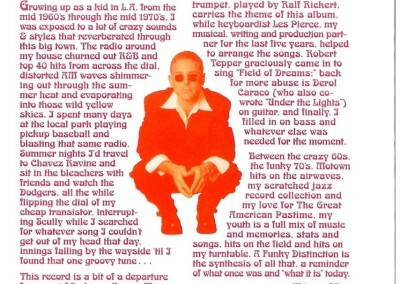 This was a big departure, but very appropriate for Les and I at the time. I always think of this album as a combination Windows and Colour Club record, because essentially that’s what it was. My only regret with this album was that we never replaced the drum loops with a real drummer. 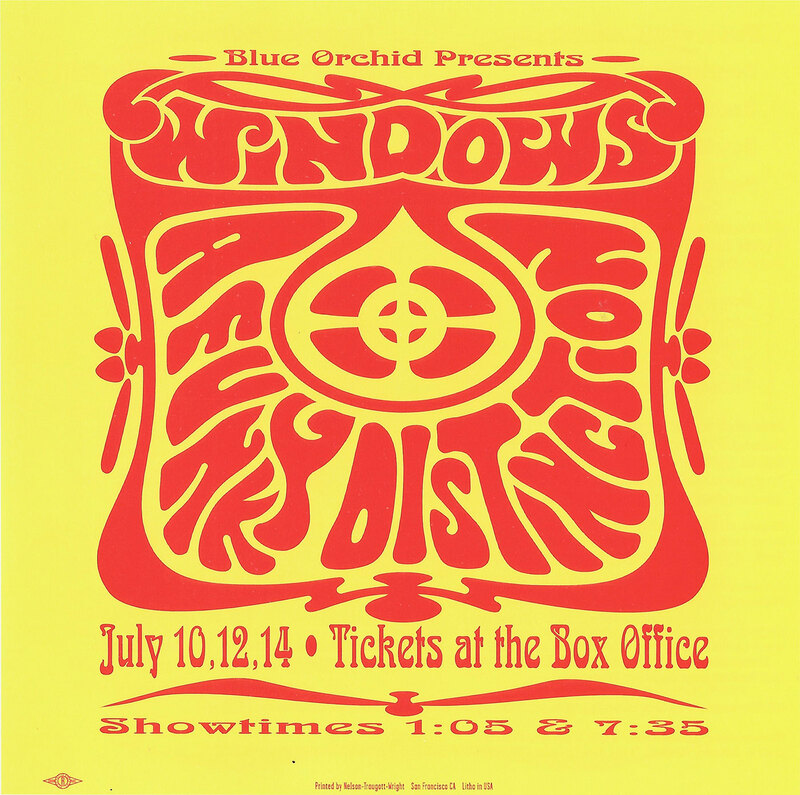 Had budgets and time not imposed constraints, this would have been the finishing touch to the last Windows record. 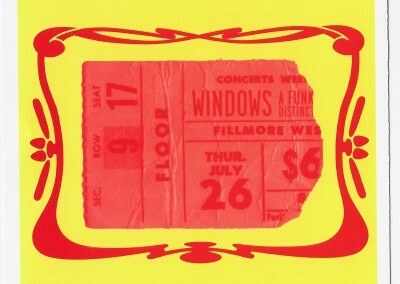 Ken Niles contributed the album cover, a mock concert ticket from the “groovy“ period. Tim Timmermans shot the picture of me on the bar stool in our recording studio. 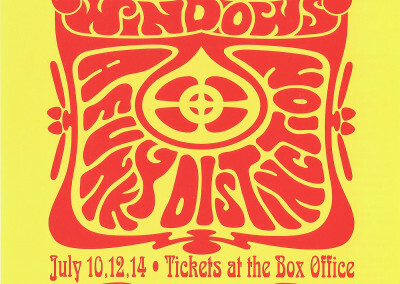 Finally, in late 1996 the album “A Funky Distinction” was released, marking the end of Windows. Eleven albums and 13 years since its humble beginnings, it was over.